That sounds like you are ready for some serious golf. You probably got those for some good prices since the season is almost over and there are always decent deals. I'm a golfer as well. I'm just getting into golf, seems like there are actually quite a few golfers on the board. 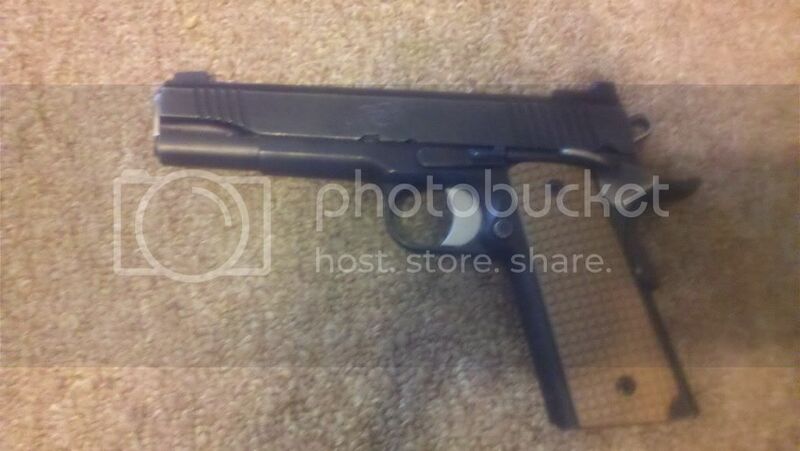 Airsoft: 30 dollar non blowback 1911 that doubles as a boomerang. Losers always whine about their best! Winners go home and F*** the prom Queen! In related news I have a new acquisition! Got this for EDC, hiking, and work around the house. Serration on the blade and spring assisted. Cheap as all heck, but build like a tank. Thank you Kershaw. You wont go wrong with Kershaw. My dad and uncle both has carried theirs for ten years. Me and my brother have been carrying ours for 6 months. I don't call it retreating. I just call it kicking *** in a reverse direction. Last edited by Italian; 08-10-2011 at 09:21 PM. Well herbert, that's because Italian is a true GearWhore with a capital dubya. Last edited by Radz; 08-10-2011 at 10:43 PM. Thanks again Italian, enjoy it! I've owned 4 vests (Condor RRV, KA Wasatch, EI SKD rig, EI RRV. RRV wins) and a belt rig. Do I win? No problem man, my Dad really likes it! A few new acquisitions in the last week or so. 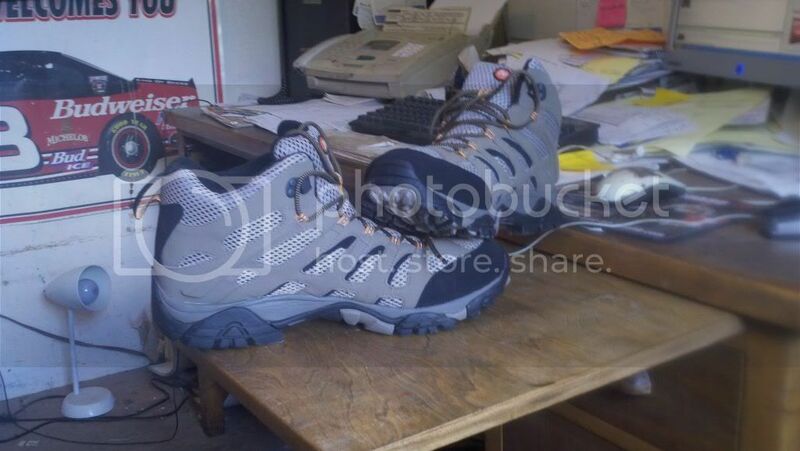 Merrell MOAB GTX mids. Just got them, so far I like them, will have a better review in the coming weeks. 2004 Kimber 1911 Custom II. Last edited by Kitten; 08-11-2011 at 02:08 PM. I have owned 9 different rigs, the only one I lost more than $10 on in resale was my Condor PC. Find all posts by slim. My new KWA CQB M4. Put some of my magpul stuff on it. I might take off the magwell grip and put a MagPul MOE FVG. Shoots great, I bought it for a new outdoor gun and it shockingly has some range at 365 fps, with a small inner barrel. The rof is godly with a lipo. More things for my med pouch! I have NRB's, but I don't want to have them in with sharps at the moment.